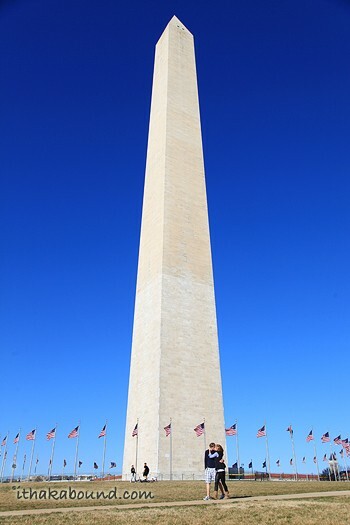 The Washington Monument Weighs 91,000 tons, and is 555 feet and 5 inches tall. It is built out of rubble masonry and granite and faced with marble. It is about 55 feet square at the base. This great tower built in honor of George Washington has 896 steps. It is a hollow shaft in the shape of an obelisk (the shape is from ancient Egyptian culture). 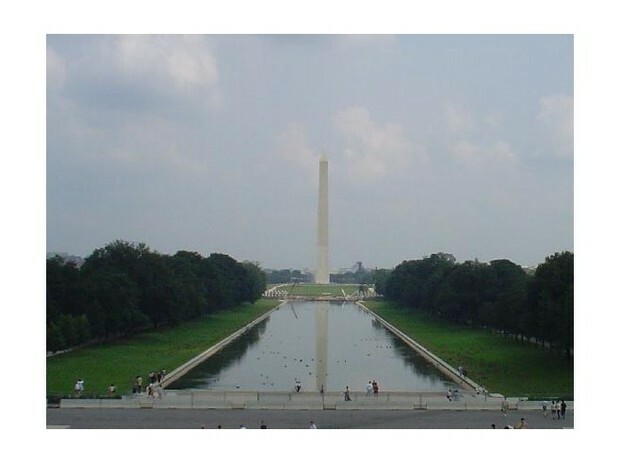 In 1848-1854 the Washington monument was built privately. In 1876-1884 it was built publicly. The Washington Monument embodies the awe, respect, and gratitude the nation felt for its most essential Founding Father. In 1833, The Washington National Monument Society, formed to fund and build a monument to the first president. In 1845. Mills' design called for a 600 ft. Egyptian obelisk. By 1854 the Monument was 156 feet tall. In 1855 Architect Robert Mills died so the construction on the monument started to slow down because of no funds going to the construction. On July 5, 1876, Congress assumed the duty of funding and building the Washington Monument. In August 23, 2011 an earthquake made a crack in the Washington Monument. The Washington monument was built in honor of George Washington our first United States President. The Washington Monument towers above the city that bears his name, serving as an awe-inspiring reminder of George Washington's Greatness. The 193 stones, made with materials indigenous to the region donating the markers, honor the character and achievements of Washington. It is important to the community because it reminds people of George Washington and all of his greatest accomplishments. It is a magnificent memorial showing how amazing and courageous Washington was. The U.S. Army Corps of Engineers, honors and memorializes George Washington at the center of the nations capital.